You can get a free version here. Take notice of the location in which it installs. For me this was : "C:\Program Files (x86)\SmartBear\SoapUI-4.6.4". I put this in the app.config of my test project. 2. 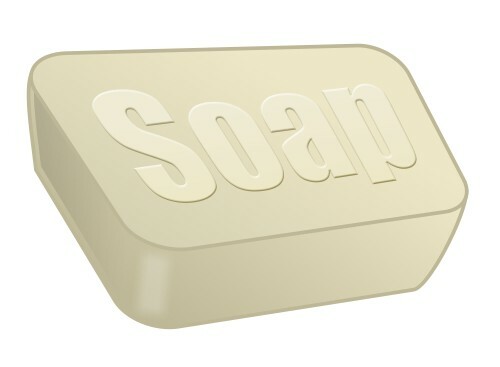 Create a SoapUI project. Start up your SoapUI and go File->New Project. Point it to the wsdl of the service you want to test and let it create a testsuite. In SoapUI right click save-project as on the project node. 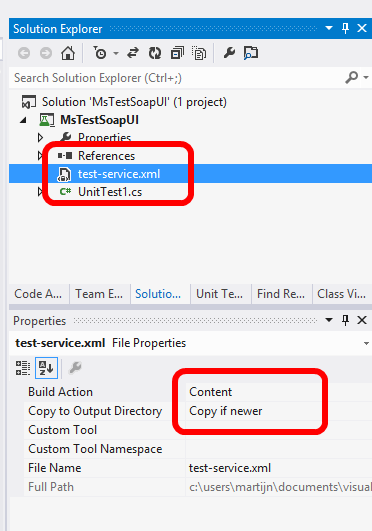 Save your xml file into a unit test project and include the xml in your project. Set Copy to Output Directory to "Copy if newer"
This is the tricky part. How can we get SoapUI to run our test from a UnitTest?? It turns out SoapUI has something called a Testrunner.bat which makes it relatively straightforward. Basically I create a testrunner proces in a unit test and redirect the output of SoapUI to the test output. Here's what the code looks like: (a zip of the project is included below). A typical SoapUI project includes multiple testcases. To make each testcase run as a separate test we can use something called a DataSource attribute for the test. This attribute cause the test to run for every 'Row' in the XML. Since every testCase is a row the makes every testCase run separately. You have to make sure you get xml deployed (I used a deploymentItem for that). I used the deploymentitems because I don't want absolute paths etc (I need the buildserver to handle this as well). Run the test and we get SoapUI output in Visual Studio / Build. Sweet :) To run this in a CI build you only need to install SoapUI on the buildserver and all should be well.